Volunteer Chore Services, a program of Catholic Community Services, is a "safety net" for elders and adults living with disabilities who are unable or ineligible for state/paid chore services. All recipients are low-income, have health problems or difficulty with mobility, and most live alone. A growing volunteer opportunity in your neighborhood consists of driving clients to doctor appointments, grocery shopping or other chores. We carefully match volunteers to opportunities based on their personalities, neighborhood, and preferences. Your elderly and disabled neighbors need your assistance with tasks they are no longer able to do on their own. The laundry is too awkward, the bed too difficult to make, and the groceries are too heavy to carry. A few hours, every other week, would be a great help to the clients who have been on our waiting list. 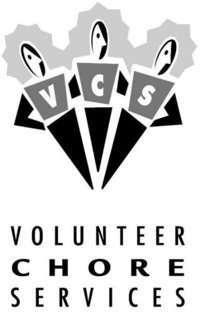 Volunteer positions are close to where you live, and are available on a schedule that works for you. Volunteer individually, with a friend, or with your family. A woman with severe chronic leg pain needs needs companionship to the grocery store. An elderly woman is worried about falling down her front stairs as she does gardening, and would love for someone to help her out, especially with mowing the lawn. A disabled woman needs help lifting her laundry into the washing machine. Currently, volunteers are donating over 3000 hours a month in the Seattle area. However, there is still a huge number of people waiting for help, and a shortage of volunteers. Volunteers are needed especially in areas like South Seattle. Due to the vulnerable nature of our clients, volunteers must complete a registration packet, provide three personal references, pass a background check, and attend an orientation. If you drive while volunteering, we reimburse for your mileage. For more information on how you can help in your neighborhood, please call volunteer coordinator Kerrie Carbary at 206-328-6858, or email gro.wwscc|ceirrek#gro.wwscc|ceirrek. Or check out our facebook page.